1. 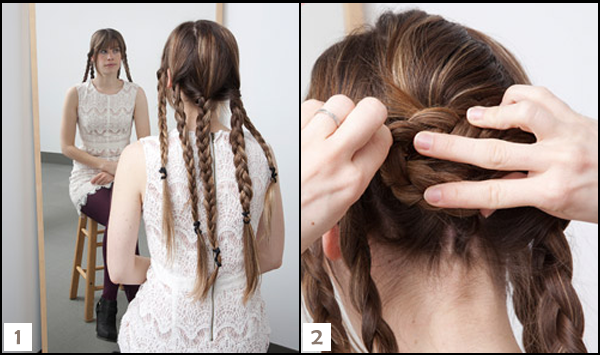 Section your hair off into five braids: three in the back, two in the front. 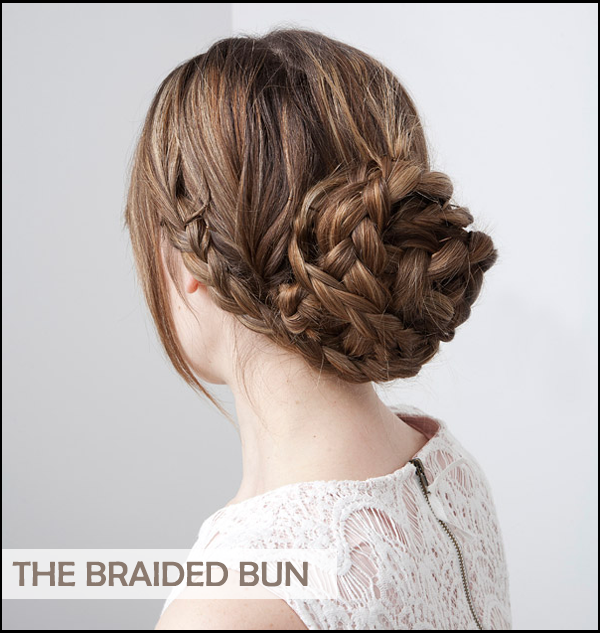 Secure each braid with an elastic at the end. 2. Starting with the back, take the first braid and twist into a flat bun against your head, anchoring with bobby pins as you go. 3. Wrap the next braid against the first, being sure to tuck the elastic out of sight. Secure with more bobby pins. 4. Repeat Step 3 with the third braid. 5. Finally, take the two front braids and wrap them around your nearly completed bun, being sure to hide the elastics and securing each braid with plenty more bobby pins. Finish off with a shot of hairspray to set the style.